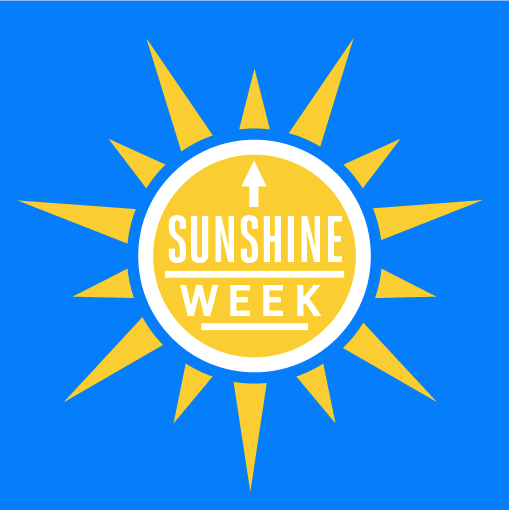 Sunshine Week is often a time for transparency advocates to collectively lament about government secrecy and institutional resistance to accountability. But the week of advocacy is also an opportunity to highlight how, through patience and a lot of court motions, organizations such as EFF can pry important documents from agencies that would rather operate in the shadows. EFF recently won favorable rulings in two hard-fought Freedom of Information Act cases involving reports of intelligence agency misconduct and agency attempts to mandate backdoors into our internet communications. In light of recent revelations about illegal NSA and FBI surveillance, the records produced in these cases could not be more timely. In EFF v. CIA, first filed in 2009, we sought reports of illegal intelligence activities submitted to the Intelligence Oversight Board. A judge has since ordered the government to release previously withheld documents about agency misconduct or come up with new arguments to justify the secrecy. Because of the government's requests for deadline extensions, the records are now due March 21, 2014.
the FBI may have committed upwards of 40,000 intelligence violations between late 2001 and 2010, including improperly issuing NSLs for images, education records, and hotel and financial records and monitoring young children’s calls for five days. These records have helped Congress and the courts to understand the scope of federal intelligence agency misconduct. However, the agencies continue to withhold hundreds of documents from the public. By their nature, these reports detail illegal activities that, according to executive order and statute, may not be classified or withheld under FOIA. Given this, and given the fact that we requested these records over five years ago, we are hoping the government will do the right thing and release them. A court has also ordered the Department of Justice to hand over documents in our FOIA lawsuit to obtain information that the government may be using to justify an expansion of a law that aids federal wiretapping. In EFF v. DOJ, filed in 2010, we sued the DOJ, the FBI, and the Drug Enforcement Agency to get information on problems that hamper electronic surveillance and could justify or undermine the administration's calls for expanded surveillance powers. Over the last few years, federal agencies have been pushing Congress to expand the Communications Assistance for Law Enforcement Act (CALEA) to require communications service providers from Google to Skype to Facebook to Sony to build surveillance-ready “backdoors” into their systems. However, other than a couple extremely vague anecdotes, the agencies have failed to provide any evidence that that their investigations have been thwarted without such a fix. In our FOIA requests we sought this very information. As we discussed in detail here, the government withheld a significant amount of material, claiming it was “outside the scope” of EFF’s FOIA request. The government also argued it was entitled to withhold names of ISPs that had helped it conduct surveillance because it would hurt these companies’ bottom line if their customers knew they were working with the government. The court agreed with EFF that both of these arguments lacked merit and ordered the government to release records. It’s a great win and reinforces important case law for FOIA requesters in the Ninth Circuit. The opinions in these cases show that courts continue to be concerned that the government is withholding more information from the public than it is entitled to. And they both reinforce important precedent for FOIA requesters. However, the cases also reinforce the belief that the current system of government transparency is broken. In EFF v. CIA, we submitted our first requests for records in 2008. Once we filed our motion for summary judgment in the case, it took the court over a year and a half to rule on the motion. It has now been more than five years since we filed that request, and the government continues to withhold a majority of the records. The second case, EFF v. DOJ, isn’t much better. In that case, we filed our requests in 2010 and then waited nearly a year for the government to finish processing records that were then either withheld in full or produced but almost completely blacked out. We went through two rounds of summary judgment briefing—a year apart—on the same documents and issues before the court finally ruled in our favor—a full six months after we argued the motion. And we’re still waiting for records. As we’ve stated before, given the failings of the standard transparency process, there has to be room and support for whistleblowers to act alongside the FOIA process. These insiders can expose government hypocrisy and illegal activities without the public having to rely on tenacious lawyers—and wait many years—to learn about these activities. We're currently negotiating with the government about release of final records in these cases and will post those records on our site when we receive them.